It is a very strange room where there are sapphires all around! 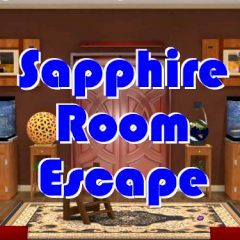 Search the room for sapphires and for the items that might help you escape from it! Have fun and good luck!